The fact that I’m writing a review about a shower cap of all things is proof that it must be one hell of a shower cap—and it is. SHHHOWERCAP ($43) is not your grandma’s frilly, floral, muffin-shaped style, nor does it feel or look like one. 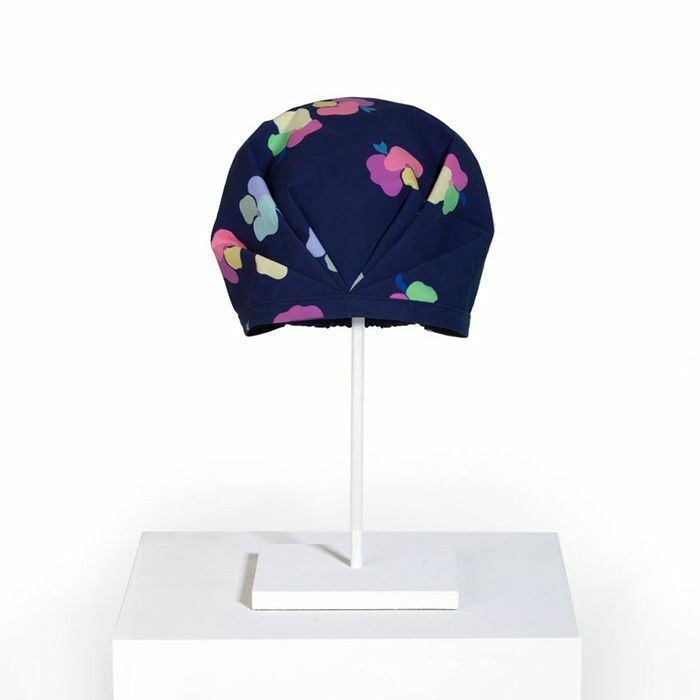 The fabric is sturdy and reminiscent of neoprene, and the sleek turban-like shape fits snugly around your head. The pocket of extra space at the bottom allows those with longer strands to wrap their hair into a bun and tuck it inside. The cap was a bit more snug than I was expecting, but I’m also fully aware that my head has always been larger (and rounder) than average (sorry, Mom). As someone who prefers to go two to three days without washing her strands, this product is a game changer. No longer do I need to throw my hair up in a topknot that leaves me with an unattractive kink in the middle of my strands, post-shower. Rather, I reach for my The Posey cap (I almost picked The Yoncé based on the name alone), tuck my strands in, then hop in the shower. Yes, some hair at the nape of my neck still gets a bit wet, but it’s a small price to pay. The only thing that surprised me was the noise. I had read that this cap greatly decreased the “rain pelting down on a tin roof” sound most shower caps produce when met with a stream of water, so I eagerly stuck my head under my shower faucet to see if it was true. The sound wasn’t necessarily quieter, but it was a softer, more soothing tone—like a steady stream of water from a waterfall rather than rain pellets. And yes, I realize I’ve spent much too long describing the sound my shower water makes, so I’ll end this review with this: At $43 a pop, this certainly isn’t something to be purchased without deliberation. However, if you’re like me and prefer to extend the life of your strands between washing for as long as possible, it might just be the secret weapon you need. (Your dry shampoo habit is getting a bit out of hand, isn’t it?) Plus you’ll look so damn cute doing it. What do you think—would you splurge on a luxe showercap? Tell me below!